2016 has been one of the best years for me because of two main reasons; I gave birth to my baby boy and I have achieved what I wanted with my blog. Never did I think I would have a son and now I know how amazing it is to have one. I always thought I'd be a mum of girls but since having Freddie, our family feels complete. On the 30th of December 2015 I announced the pregnancy and it feels sad to think that it was my last pregnancy ever, but I feel lucky to have three beautiful children. 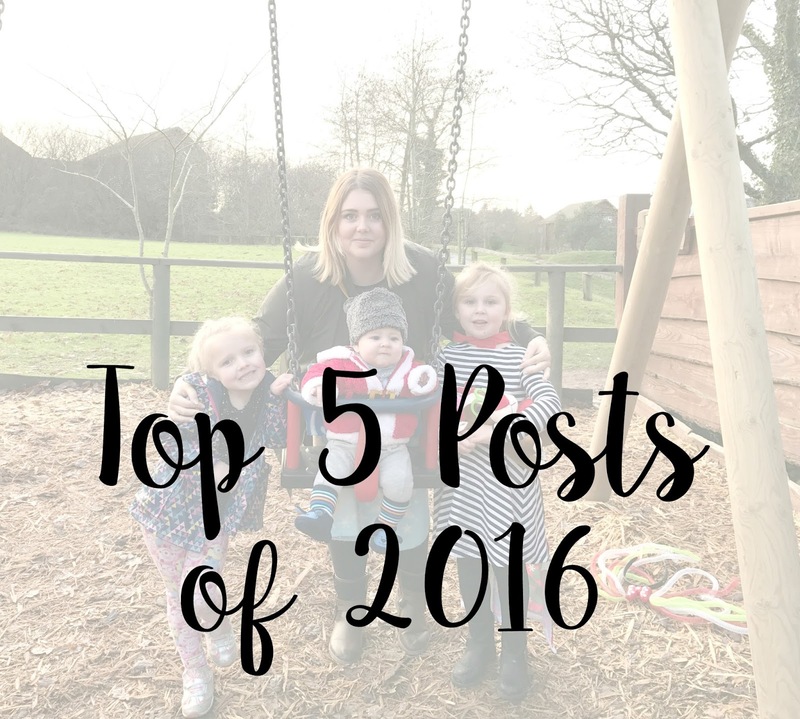 I wrote a post in January 2016 talking about my top 5 posts of 2015 and I have been wanting to do one again for 2016. I think it is a nice way to look back at my personal favourite posts that I have written on the blog. I've written many posts during the year, probably way over 100 posts, but they were pretty easy to choose. This was at the top of my list for this post. It's by far one of my favourite posts on the blog. My birth story was so different to what it was with the girls, as I went into labour myself with no induction. Giving birth to my baby boy was one of the best feelings - ever. Welcoming my son and my girls' baby brother. It truly made 2016 one of the best. I was so excited to announce our baby's gender. I was so convinced I was having a little girl but when the woman said I was having a boy it just didn't seem real. I wish I had done a better announcement photo but I just couldn't wait until the next day for better light with a better announcement. I was so excited to write this Siblings post. It's the first sibling post of all 3 kids. I have tried my best to keep on top of writing one each month, but it's hard to remember at times. Watching both my girls doing so well with Freddie makes me feel so proud. Being a Mum of 3 is hard and challenging but it is really worth it. At the start of December I was having a really bad day. Everything was going wrong for me. It was just one of those 'wobble' type days where I just wanted to go to sleep until the next morning for a fresh start. Until I receieved an e-mail from Bluestone inviting us for a 4-night stay. I was so happy and it was a break I really did need. My partner was unable to come with us so a friend and her two children came along. It was the perfect week away just before Christmas. I'd really recommend families, friends and couples to visit there. I'll never forget that first week of having Freddie. I absolutely love that newborn phase, it's just the best, isn't it? I do remember feeling exhausted, in pain and just wanting to sleep all the time but I was just over the moon that my baby boy was with us. My pregnancy posts were very popular during 2016, click here to read them.